When disaster strikes or an emergency hits, will you be prepared? Oftentimes, during and in the clean up after people have to perform manual labor to deal with the situation. Clearing branches, trees, debris, dirt, ice or snow from your home and property may be your first chore after a disaster. Although, you can’t prepare for every emergency imaginable, you can still be as prepared as possible. Make yourself aware of the types of natural disasters that can happen in your area. Armed with this knowledge, you can prepare and plan wisely for those kind events. This preparation includes having the right tools on hand. One thing you will want to remember is during an emergency situation you will probably have to move around to different locations to help yourself and others. That’s why it’s a good idea to have a few lightweight, multi-use tools you can easily pack or carry with you. There are many styles on the market that serve several functions in a single tool. By having a multi-use tool you will save space and be able to perform various tasks as needed with less equipment. Even though you may have many of these tools already, if you use them for everyday tasks it’s likely they wouldn’t be in your emergency stash when you need them. 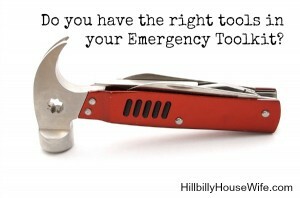 That poses a problem because during an emergency you wouldn’t have the time to go hunting down the tools you need. To solve this problem you can store your everyday tools with your emergency supplies, if you have the room. Although doing this could be a bit frustrating having to constantly go to your emergency supplies to get tools you use regularly. It may lead to those tools not being returned to the emergency supplies which would cause more problems when disaster hits and you don’t have all your gear together. A better way to deal with this is to buy and store emergency specific tools. In the short term, you may see it as waste of money but, in the long term, building up your emergency supplies will ensure your family’s safety. You don’t have to do it all at once. Set aside a certain amount of money each month to build your toolkit or buy one specific emergency survival tool each month. That’s how most people do it because buying everything all at once would be too much of a financial drain. 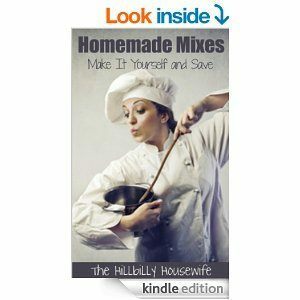 Be frugal and fit tools into your family budget by checking out the resale and thrift shops. Tools may not be first thing on your mind when thinking about emergency planning but in the event of a natural disaster, you may need tools to help remove debris, build flood water barricades, or even clear a path to a neighbor’s house. After the immediate needs have been met, you may need tools to gather water, build a shelter, and plant food. As you can see, tools are very important for survival in the short term and long term. Peace of mind is another ‘tool’ you’ll be happy you have.